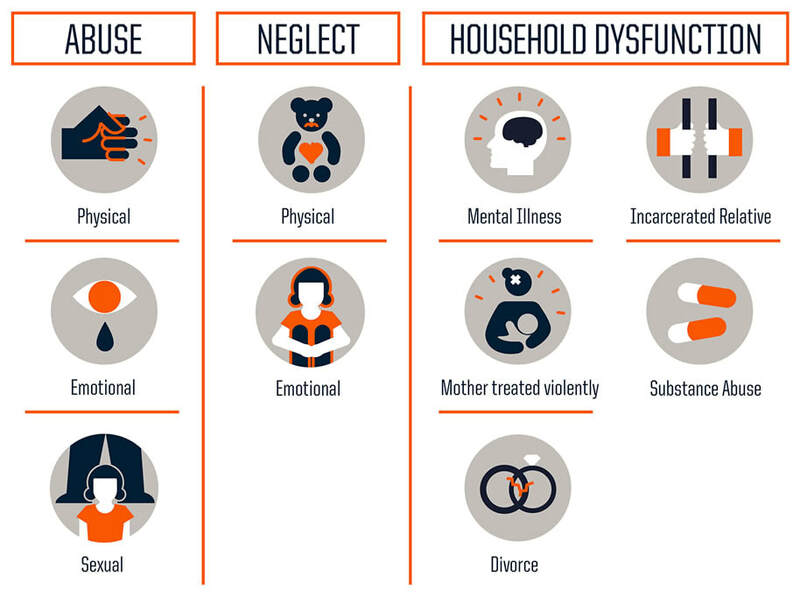 Adverse Childhood Experiences (ACEs)﻿ are negative occurrences in childhood, including abuse, neglect or household dysfunction, which are linked to compromised health and well-being in adulthood. These negative experience also negatively impact your students-- regardless of your zipcode. A study by the CDC, Center for Disease Control, looked at these negative occurrences in childhood and found a link to compromised health and well-being in adulthood. How does this affect you and your students? Watch the video below. These effects have lifetime health consequences, and they affect a larger population than we might think. Five are personal— physical abuse, verbal abuse, sexual abuse, physical neglect, and emotional neglect. Five are related to others in the household. 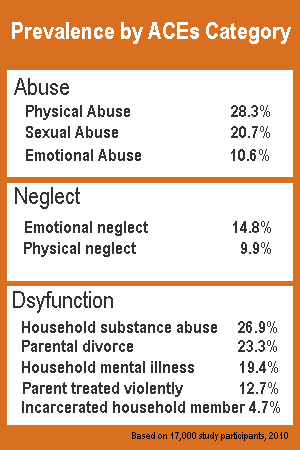 In 2010 the Wisconsin Child Abuse and Neglect Prevention Board looked at ACEs and its effects in our state. 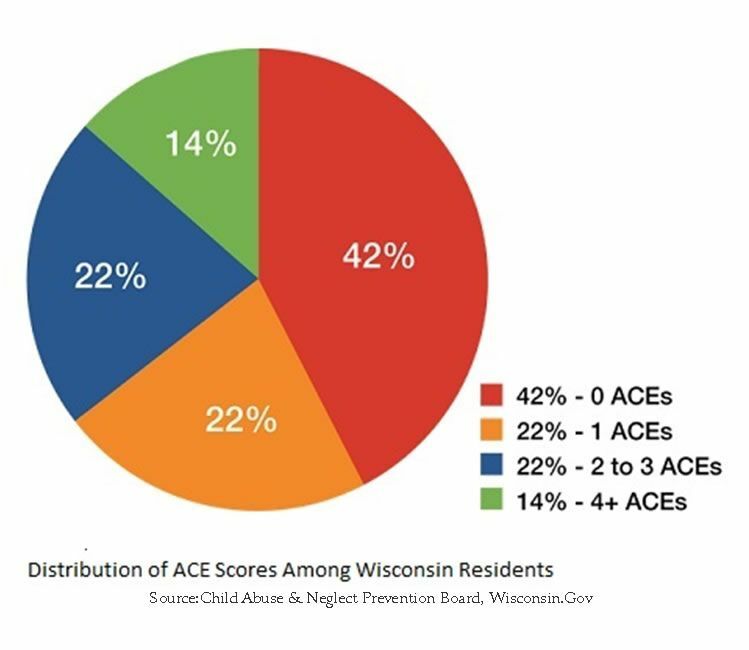 58% of Wisconsin adults reported growing up experiencing one or more ACEs. Those reported having at least one ACE, and over one-third reported having 3 or more. 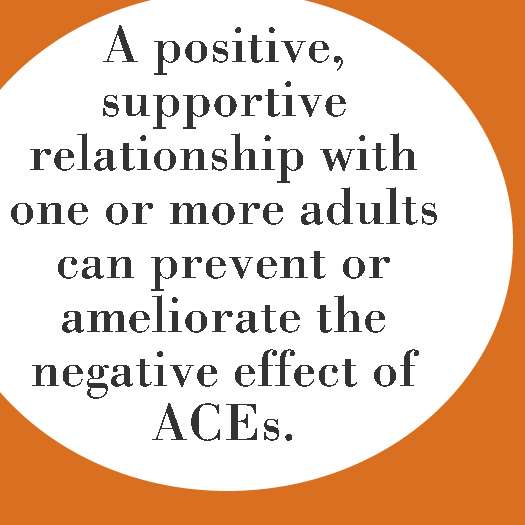 As ACEs numbers increased, the likelihood of depression, cancer, diabetes, sexually transmitted diseases, alcoholism, drug use, smoking, ischemic heart disease, chronic bronchitis or emphysema, skeletal fractures, suicidality, and homelessness significantly increased as well. What are those health risks? 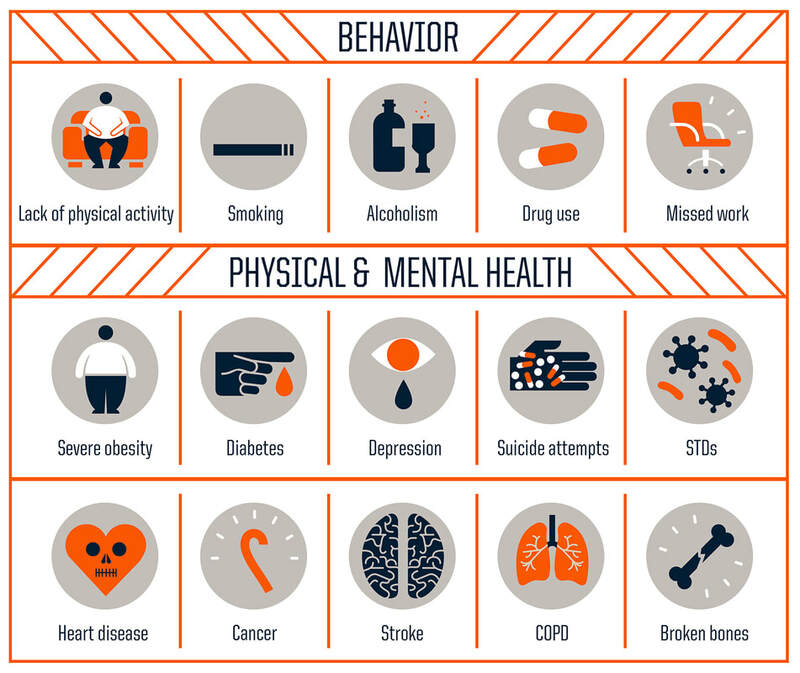 According to the Adverse Childhood Experiences study, the rougher the childhood, the higher the score is likely to be and the higher the risk for various health problems later. Problems like those listed below. Relationships and resilience are key. Click here to continue learning about the effect and impact of resiliency. Want to learn more ACEs? Click here for demographic info and prevalence from the 2010 study.